Our expert Robert Aumer is happy to answer your questions! An important part of every customer project in plant and special machine construction or in the design of machines is the creation of complete and specific documentation for the respective product. The documentation serves not only to describe the product, but also for its operation and serving as well as for maintencance and repair. With Direct Publishing from SEAL Systems, data and files are automatically compiled into a new document. The data for this procedure can be located anywhere, even distributed. This saves time, money and efforts, reduces errors and ensures fast, smooth processes. *No newsletter, no email address transfert, contact by email only for this purpose. The Corporate Conversion Server is a high-performance conversion engine which automatically carries out all file conversion requirements throughout the company. Thanks to flexible interfaces, it integrates seamlessly into the existing IT landscape. Numerous additional functions complete the range of services. SEAL Systems’ conversion server aims at improving optimization potentials in the daily operation of medium and large companies. 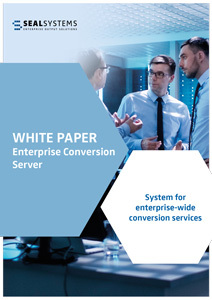 Ask for our White Paper about the Corporate Conversion Server! In this white paper you will learn how to transfer documents and data from 25 SAP processes and 39 transactions from SAP to SharePoint. See page 10 for a detailed list of the supported processes and transactions. In addition, we will show you how transferring information and data from SharePoint to SAP works. 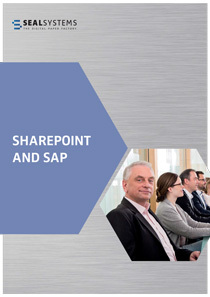 Ask for our White Paper about SAP & SharePoint! Production4.0 is not only a marketing slogan, but becomes reality with Paperless Production. SEAL Systems, world marketing leader for combined output of production papers with additional documents (drawings, packaging notes, and others), helps you to digitalize your production process and prepares you for the new future require­ments. 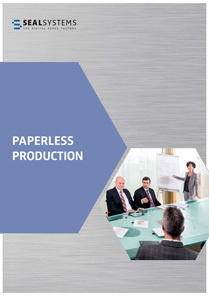 Ask for our White Paper about Paperless Production! 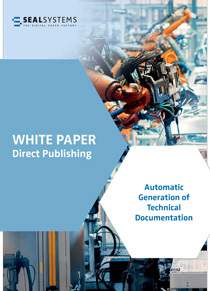 In this White Paper you will learn how to improve your document creation and distribution. 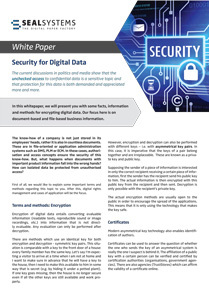 We explain, how you can realize the complete document lifecycle from individual and intuitive generation up to analog or digital distribution by avoiding single separate solutions. 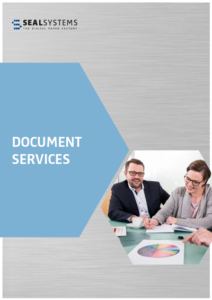 Ask for our free White Paper about Document Services! Our corporate output management system provides you with the opportunity for manufacturer-independent secure & pick-up printing. As the actual printing of documents at the printer can take place only after identification of the user, this guarantees the highest security for printing your sensitive and confidential documents. Selecting secure & pick-up printing as the preset configuration will prevent extra unnecessary printouts. 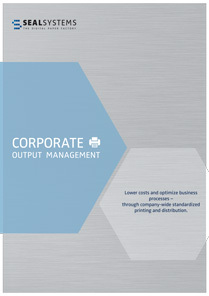 Our corporate output management solution works independent of make, model or hardware properties. Many businesses invest substantial resources in establishing and maintaining a coherent print network of systems and applications, machines, and software solutions for individual tasks and process steps. These networks grow along with the business and are supplemented with single solutions when needed. However, such “organically grown” output networks have a lot of weak points and the potential for improvement quickly becomes clear. A company’s expertise lies not only inside the heads of its employees, but also in countless documents. These are found in file or application oriented management systems like DMS, PLM and ECM. Here, authorization and access concept ensure the protection of this knowledge. But what happens if documents with important product information fall into the wrong hands? How can one protect isolated data against unauthorized access? 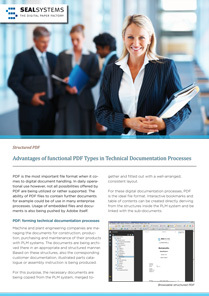 PDF is the centralized data format for handling digital documents. However, not all of the possibilities that PDF offers (some of them for quite some time now) are supported or used in business practices, partly due to lack of awareness. In particular, the fact that PDF files can hold other files is a feature that could be of interest to many businesses. Since Adobe Acrobat X, the use of such embedded files is also urged by Adobe itself.